Fiverr is a website for buying or selling a gig that provides a talent/service for $5. There is no upfront cost for sellers. Buyers must pay $5 before their order for a gig is sent to the seller. My current 4 gigs are in the Writing/Translation category. I write articles, reviews, post online comments, and tweet about products and businesses. There are many tools available to help you write the best gig. You will be prompted to add a picture or a video for each one. I include detailed information about what I will and will not provide as well as my writing and blogging credentials. I also add keywords/tags. Be sure to read the guidelines so as not to have a gig denied like one of mine. It was too heavy on the promotion of another site, i.e. Twitter, Amazon, etc. The stats above show my data for the last 30 days. The first column reflects the number of impressions my gigs have received in the last 30 days. You determine a deadline for when you can deliver the work. I can deliver most work in 2 days or less. For book reviews, I have a longer deadline. You will receive an e-mail when you receive an order. The deadline clock starts ticking the moment your gig is ordered. The sheet above shows my active orders with their respective deadlines. This sheet will also show any messages that you need to respond to from potential or current sellers. Many buyers will send you a message before ordering one of your gigs to confirm what it entails. Above you can see my average response time to a message is 1 hour. I pride myself on giving buyers my best. If I can complete the order immediately, I will. Again, the clock starts ticking the moment a gig is ordered from you. If you are ever unsure of the actual time you have left to deliver an order, there is a countdown timer linked to each order. 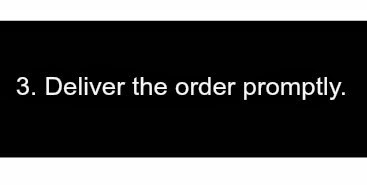 Once you have completed the order, you click on the “Deliver Now” button. 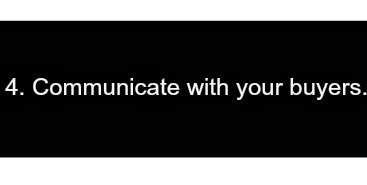 A message box will appear with an attachment option. I provide text, links, and screenshots whenever applicable as proof of my work. I always thank the buyer for the order. Your Fiverr inbox (below) alerts you to feedback that a buyer has left for you. I in turn leave feedback for the buyer. Ratings rule. I also ask questions of buyers if I don’t have enough information to complete an order. Sometimes buyers will order a gig, the clock will start counting down, and for reasons beyond your control–you can’t complete the order. Fiverr has a resolution center in which you can seek to cancel an order if problems arise. It stops the countdown clock until a resolution occurs that allows you to complete the order. Fiverr has an option to tweet your gigs and share them on Facebook, Pinterest, and LinkedIn. I received a series of 4 orders from a seller because my profile came up when he googled Catholics. 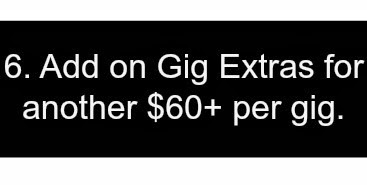 As your Fiverr level increases, you are allowed to add more Gig Extras to your gigs. 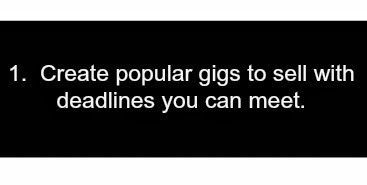 My Gig Extras include quicker delivery time and posting reviews to more than one site. You can charge an additional $5, $10, or $20 per gig extra for up to 3 add-ons at Level 1. 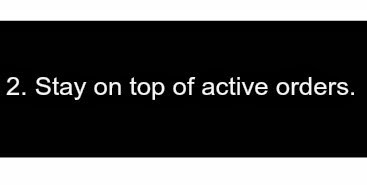 As you level up, the gig extras and revenue increases. I earned a 100% positive rating. I achieved a Level 1 status after my first few orders. I am very close to achieving Level 2 status. My Fiverr profile and gigs are elevated in searches. I had 6 repeat buyers, completed 2 extra gigs, and had 3 international sales. I completed 25 orders in the last 2 months generating $108 in revenue for me. Disclosure: $1 is retained by Fiverr for their portion of each sale. My $108 is the amount available to me after their portion was retained. Funds are available 14 days after the buyer marks your order complete. Payments via PayPal are available within minutes of your withdrawal from Fiverr. You pay the fee associated which normally averages to $.08. The payment alternatives are Direct Deposit and a Fiverr Revenue Card which has quite a few fees attached to it. It may seem like a lot of work is involved for some gigs to only be compensated $5 $4 $3.92. But you can make your gigs as easy or as complex as you like. The revenue adds up over time. And the higher your status, the more you can charge. 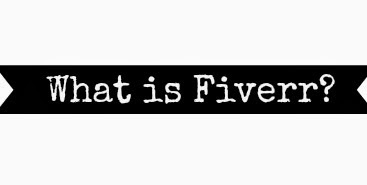 For updated info, check out How to Make $500 on Fiverr. Have you used Fiverr before? If so, what type of gigs did you use? Do you know of any comparable sites to Fiverr? Fiverr is the largest online market place to make money. And it provide many amazing gigs. I am also using this site to make money. Thanks for stopping by, Tanisha. Hi Kimberly! I’ve heard of this site before but it never occurred to me that I could be a seller. Very interesting post. This is definitely something to think about. I’m going to pin your post for future reference. Thank you! Yes, I love being a seller on it. Since the post I have earned an additional $100 and reached Level 2 status. Thanks for pinning, Vashti! Happy to hear it! Thank you. The key to really earning money on Fiverr is the extras. Glad it helped, Xavi. Thinking about using Fiverr – thanks for your insight! Happy to share the info, Michael. Thank you. I’ve heard of Fiverr but never considered offering gigs myself. What a great detailed review. The screenshots are very helpful and I’m now going to brainstorm what types of gigs I could complete within a timeframe that seems reasonable for a $4 profit. This seems like a great way to get some experience in a specific area too. Visiting from #SITSBlogging. Happy to share the details. I’ve made almost $100 more since I wrote that post. Thanks LeeAnn. I have heard of SEO Clerks, but have not looked into it. I agree that your service and your time is valuable. Thank you for stopping by. I've used fiverr to do some quick things like a bio for my blog, but I never thought to offer some of my services there! It does seem like a lot of work though for $3.92, especially with the quick deadline, but every little bit counts! I have not bought any gigs yet, but I plan to explore the buyer side soon. Thanks, Britton! I've heard of it, but never used it. I guess I should check it out further. Thanks for the great rundown! I have actually learned some things by doing research to write articles for buyers. Most things like this I learned from someone else's blog, post, or Pinterest pin. It's just a matter of me taking the time to learn how to work through it myself. Thanks, Kennie. This sounds really interesting, Kimberly. I am going to check it out when I get home. Thanks for the heads up, sis! I've gotten a chance to learn about products and businesses that I wasn't aware of beforehand. It's been a good experience. Nope Kim, I've never heard of Fiverr. Sounds interesting though! But I'm pretty sure it's easy for a professional writer like yourself. I'm good if I can crank out 3 post a week, lol! I'll take a look at it though…thanks for the info! My recent post Mastering YOU Monday…who's lovin' you? You are flattering me, Ms. Michell! Thank you. 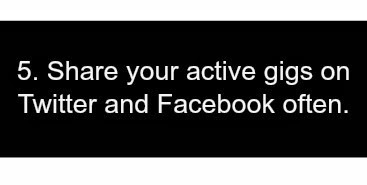 I’ve never heard of this site – not sure I have any marketable gigs (unless someone wants a workout!). That's a marketable gig! I've seen a little bit of everything on the site. Some people write websites on their faces and walk around all day with it. They send pics and videos to the buyer as proof.